GREENSBORO, NC (May 24, 2018) – Mack Anthem®, Mack® LR and TerraPro® models equipped with Cummins Westport natural gas engines now qualify for the California Air Resources Board (CARB) Hybrid and Zero-Emission Truck and Bus Voucher Incentive Project (HVIP). HVIP encourages the purchase of natural gas–powered vehicles in California with vouchers to help offset the cost. Mack Anthem models are eligible for $40,000 in vouchers, and Mack LR and TerraPro models are eligible for $10,000 in vouchers through HVIP. CARB works closely with dealers to apply the discount at the point of purchase, ensuring that customers don’t have to wait for a rebate. The vouchers apply to Mack Anthem day cab models equipped with Cummins Westport ISX12N natural gas engines and Mack LR and TerraPro models – both 6x4 and 4x2 configurations – equipped with Cummins Westport L9N natural gas engines. The compressed natural gas (CNG) tanks are available in two different configurations. The spark-ignited ISX12N and L9N are the lowest certified nitrogen oxide (NOx) emission engines available in North America, according to Cummins Westport, with NOx exhaust emissions 90 percent lower than the current EPA NOx limit of 0.2 g/bhp-hr. Mack Anthem, LR and TerraPro models spec’d with the Cummins Westport natural gas engines are available for order now. 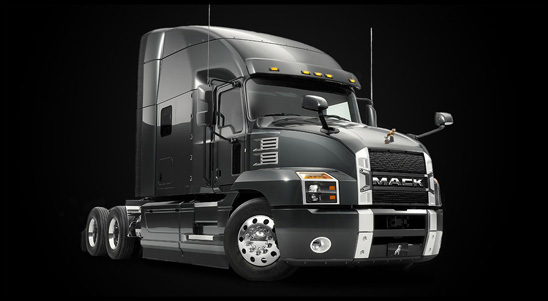 For more information, contact your local Mack dealer or visit the HVIP website at: www.californiahvip.org.